Learning English or, indeed, any foreign language is so much easier nowadays. Mobile devices like, tablets, smartphones and e-readers have revolutionised the way we do so many things – and language learning is no exception. Whatever language you are studying, you no longer have to rely solely on boring text books, tedious audio recordings and tired old teachers. 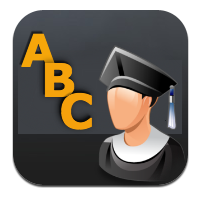 Nowadays, you can really boost your enjoyment and increase your knowledge of virtually any language by simply downloading to your mobile device one of the numerous language learning apps available from the iTunes or Android marketplace. 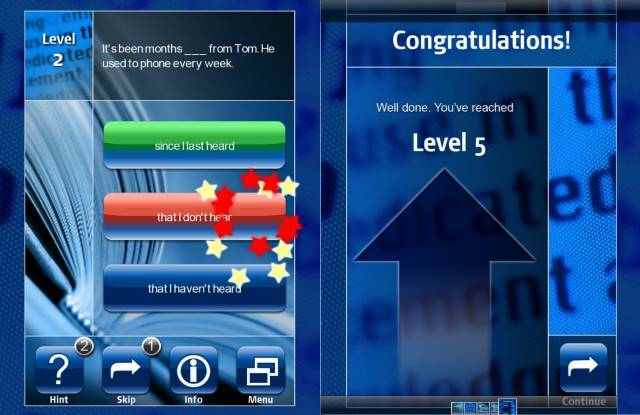 Here are three really good English learning apps well worth considering. 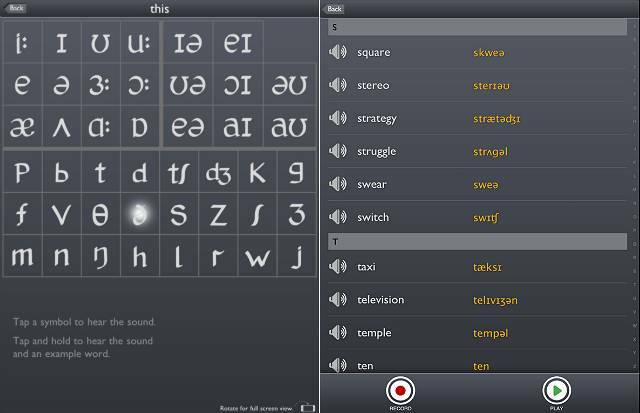 Sounds: The Pronunciation App is a great app for both students and teachers. I could certainly have done with this when I first started teaching English. It helps you study, practise and play with pronunciation wherever you may be. Included with the free version are Interactive phonemic charts for British and American English, but if you upgrade to the premium version, you will be able to look up, listen to and record words in a wordlist; practise your pronunciation skills; test yourself with pronunciation quizzes; use the phonemic typewriter; and learn a whole lot more with their handy tips and videos. English Grammar in Use Activities has been based on Raymond Murphy’s English Grammar in Use, one of the most popular grammar learning (and teaching) books ever. This great little app provides supplementary practice activities for the grammar points presented in the book. There are loads of fun grammar activities (2,800+ questions, structured into 16 grammar areas) with imagery and sound geared particularly towards intermediate learners of English. You can also hear phrases spoken aloud then record your own voice to compare the difference. This is a must have app if you want to keep working on your English grammar skills wherever you are. Of the three, this is probably my favourite. This great little app offers so much more than many other dictionaries (both paper and electronic) and will give you a much better understanding of the meaning of words. It knocks the socks off of traditional dictionaries not because it contains far more words, but because it uses some nifty new technology to dramatically improve your understanding of individual words. . This very Advanced English Dictionary & Thesaurus will enhance your English language learning experience with extremely clear and precise definitions. The app lets you enter a word such as “tree” and you will not only be given the definition, synonyms and antonyms, but also the hypernyms (a tree is a kind of what?) and meronyms (what are the parts of a tree?). To add to the mix, you will also get a comprehensive list of hundreds of trees, from the oak tree to the Tree of Knowledge. With approximately 592,000 entries, 4.9 million database of words and 335,000 word relations, Advanced English Dictionary with all its unique technology will quite possibly be the only dictionary and thesaurus you ever use again. Please leave a comment below and tell us about your favourite language learning apps. Great idea for instant check of English words, spelling and meanings. A perfect blog for learning English.